"Statistically, Mahan looks like he's back. Over the last six months, he ranks sixth among these for total driving and seventh for greens in regulation. Can he put it all together and contend again? Well, he was a perfectly respectable 13th last year when in much worse form." We've got two excellent tournaments to look forward to, either of which look fertile territory regarding our hunt for outsider value. First, while the Alfred Dunhill Links Championship does usually produce a fairly obvious winner, the top of the market is so strong that there are literally dozens of likeable types at 99-1 or better. Perhaps one of the Ryder Cuppers will still be on a roll and walk away with it. I'm in agreement with Steve Rawlings' advice about swerving them though - too much guesswork, under these circumstances. I've already put up one outsider in our each-way column - Callum Shinkwin at 150/1 - on the basis of the pedigree for an easy links set-up and liking for the wind, demonstrated at the Scottish Open. Shinkwin is best known for somehow blowing the 2017 renewal at Dundonald and my other outsider pick also really caught my attention that day. Very inexperienced at the time, Pavon played brilliantly once the wind got up that weekend, shooting 69/66 to storm through a very high-class field from 45th to third place. That wasn't the first or last impressive performance of a fine rookie campaign. This year, Pavon confirmed that liking for wind with a superb first round on his US Open debut in very harsh conditions, sitting sixth before falling back to a nonetheless excellent 25th. He also led at halfway in the Irish Open, again on a links. The young Frenchman has been ordinary since but, given the forecast, I must have a trade at [400.0]. We'll only need him to shorten to [40.0] to bank a profit on the week. Analysing the stats from past renewals of the Safeway Open does not lead to any obvious conclusions. But previous winners might. Brendan Steele won the last two, following Emiliano Grillo. Both are long game masters, excellent off the tee. That makes sense when reading the quote from 2014 champ Sang Moon Bae in Steve Rawlings' comprehensive tournament preview. A narrow, tree-lined course with small greens, requiring controlled approaches from the fairway, preferably with a shorter club. Total driving and strokes gained off the tee may be the ones to follow, along with form on Poa Annua greens. 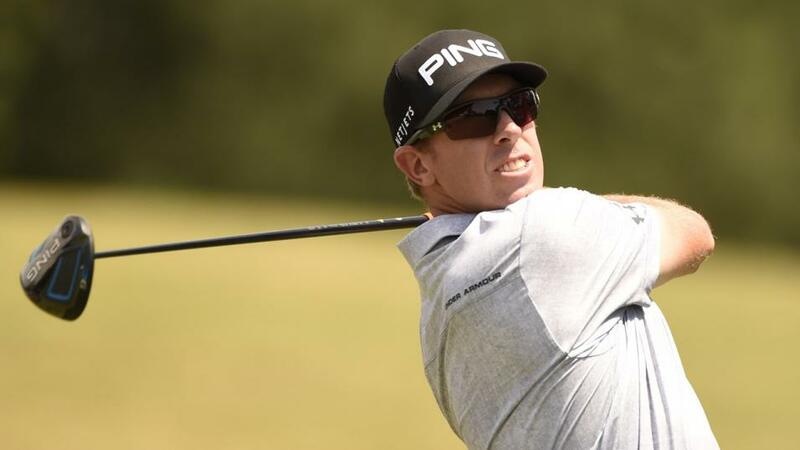 The set-up is absolutely made for Hunter Mahan in his prime and it's no surprise that he was third in happier times back in 2014, a few weeks after winning a FedEx play-off. His travails since are well-documented but there were definite signs of life at the end of last season, including a second on the Web.com Tour. Statistically, Mahan looks like he's back. Over the last six months, he ranks sixth among these for total driving and seventh for greens in regulation. Can he put it all together and contend again? Well, he was a perfectly respectable 13th last year when in much worse form. Given the above comments, it stands to reason that the man ranked first among this field for total driving over the past year would come in for serious consideration. Furthermore, Swafford has played well at Silverado before, finishing eighth in 2014 and 17th a year later. His odds rightfully reflect a pretty terrible run since the first half of 2017 but, remember, this is a new season. He hasn't played for over a month and may well start fresh and confident. In any case, Hudson wasn't devoid of form at the tail-end of last season, registering consecutive top-12s in the Canadian Open and Barracuda. Literally dozens were initially shortlisted for both events but the following trio are particularly worth a mention. Sam Ryder - sixth for total driving - is interesting at [170.0], having finished second at the John Deere. At the same odds, Sam Burns caught the eye on his few starts last term. Joel Dahmen [150.0] also made progress, showing an excellent long game.